Easter is almost here, and I have a fun little printable for all of your bunny friends! My kids and I love to spread the joy during the holidays. One way we do this is by making little goodie bags for friends, family and teachers. 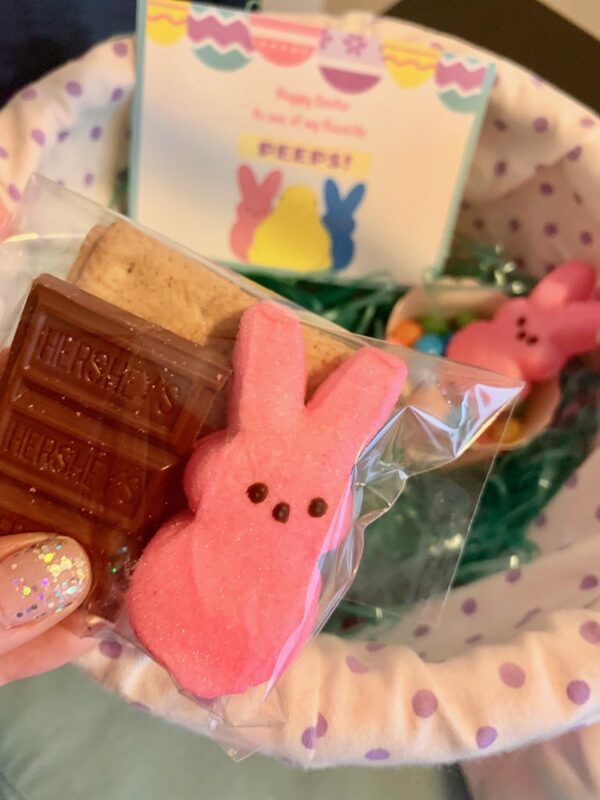 We love to make treats with an Easter candy staple, PEEPS! 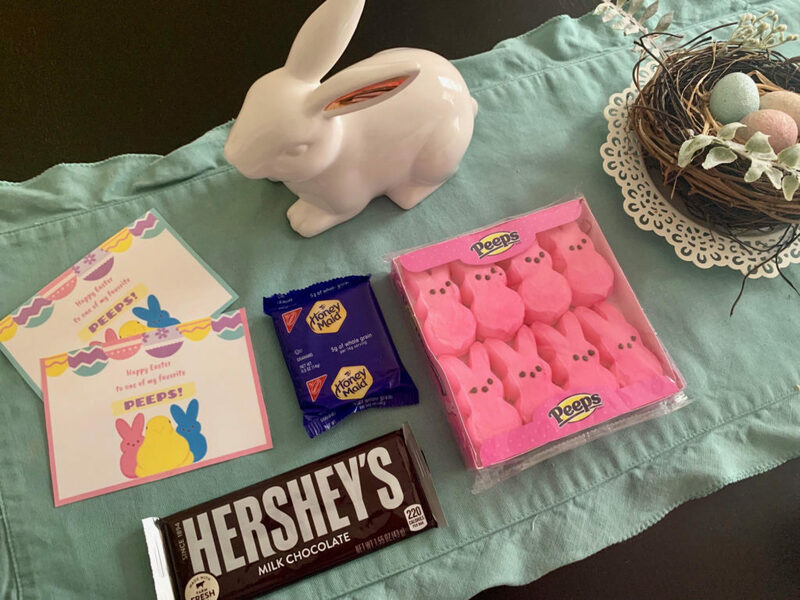 Individual Bags, 2 mini milk chocolate bars, 2 graham crackers, and 2 PEEPS®. Include this cute “To One Of My Favorite PEEPS” label. You can also do this family style and include 2 Large chocolate bars, 1 bag of PEEPS®, and 1 Pack of graham crackers. 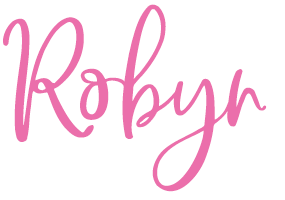 Download this FREE TAG HERE! 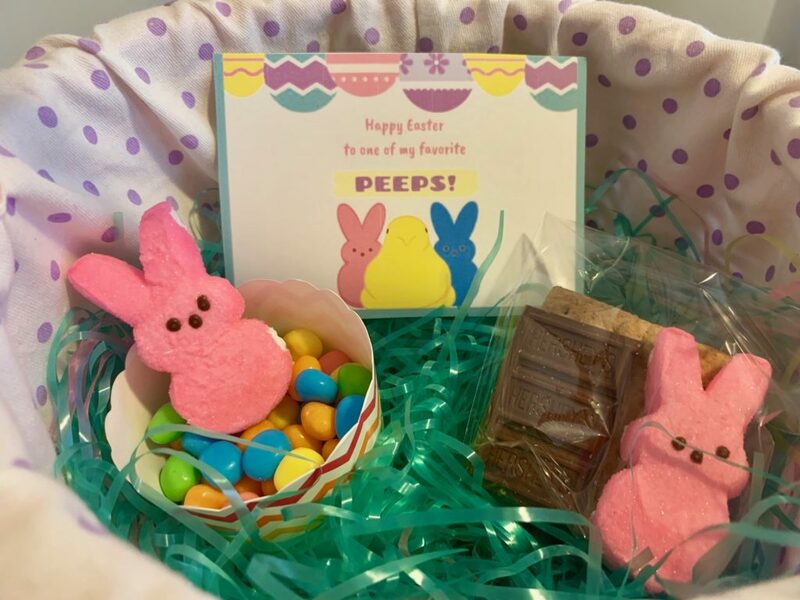 You don’t have to do smores, you can give a variety pack of PEEPS, PEEPS on a stick, a goodie basket with PEEPS, anything you can think of! This is all about spreading some happiness. These are easy to assemble, and everyone loves them. Happy Easter! « STAR WARS: THE RISE OF SKYWALKER DEBUTS Teaser!